2 ACRE SHOWROOM with Quality Furniture, Appliances, Bedding, Hardwood, Carpet, Laminate, Vinyl, and Area Rugs from the finest manufacturers. 2 ACRE SHOWROOM with Quality Quality Furniture, Furniture, with Appliances, Bedding, 2 ACRE Hardwood, Bedding, Hardwood, Hardwood, Carpet, Carpet, Laminate, Laminate, Vinyl, Vinyl, SHOWROOM Laminate, Vinyl, and from the the and Area Rugs from Area Rugs from the with Quality Furniture, manufacturers. finest manufacturers. finest manufacturers. Appliances, Bedding, Bedding, Hardwood, Hardwood, Carpet, Carpet, Laminate, Vinyl, Laminate, Vinyl, and and Area Rugs from the Area Rugs from the finest finest manufacturers. manufacturers. New Jersey Realtors® We’ve shown our true colors for 100 years. New Jersey Realtors® is comprised of 48,000 members who’ve pledged to serve their clients with knowledge, experience, and responsibility. It’s this higher standard that separates a Realtor® from any other real estate agent. wind down your summer with luxurious accommodations, unique dining experiences, sunset cocktails and outdoor recreation including golf, The Reeds exclusive beach butler service and much more. *Nondeposit investment products are not insured by the FDIC; are not deposits or other obligations of, or guaranteed by, Peapack-Gladstone Bank; and are subject to investment risks, including possible loss of the principal amount invested. ARTS+CARS Mark your calendar for these events happening in downown Summit! For more information visit our website or call us. 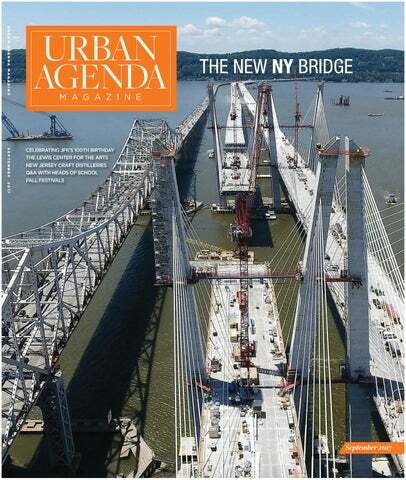 On the Cover: The New NY Bridge. Photo courtesy of the New York State Thruway Authority. The Kennedy Family at Hyannis Port, September 4, 1931. L-R: Robert Kennedy, John F. Kennedy, Eunice Kennedy, Jean Kennedy (on lap of) Joseph P. Kennedy Sr., Rose Fitzgerald Kennedy (behind) Patricia Kennedy, Kathleen Kennedy, Joseph P. Kennedy Jr. (behind) Rosemary Kennedy. Dog in foreground is “Buddy”. Photograph by Richard Sears in the John F. Kennedy Presidential Library and Museum, Boston. uoted in the December 1963 Life article in which she famously coined the “Camelot” epithet for her late husband’s presidency, Jacqueline Kennedy says, “Once, the more I read of history, the more bitter I got. For a while I thought history was something that bitter old men wrote. But then I realized history made Jack what he was.” She goes on to outline a vision of a young John F. Kennedy for whom history was a great repository of heroes and role models—a catalyst for his own idealism. In retrospect, it is tempting to flip her line and say that, in fact, history made Jack what he is. That is, despite his relatively modest accomplishments during his brief tenure as president, and despite the subsequent revelations of philander ing that threatened to tarnish his legacy, history has smiled on JFK. Viewing his presidency through the lens of the tumultuous years that followed, the American public continues to name Kennedy as one of the best U.S. presidents to have held the office. Now, as researchers and historians continue to nuance and complicate historical narratives, it is difficult to view the 35th president with same unqualified admiration he once garnered, but his charismatic leadership, his ambition, and the sense that he was guiding the country in a new direction have remained lasting inspiration for the public life of many individuals and institutions. John F. Kennedy sits next to his typewriter and his book “Why England Slept” at Harvard in 1940. President Kennedy signs the Maternal Child Health and Mental Retardation Planning Bill (H. R. 7544). White House, Cabinet Room, Washington, D.C. on October 24, 1963. Among the many onlookers is the President’s sister, Eunice Kennedy Shriver, far right. Photograph by Abbie Rowe. My desire to come to Princeton is prompted by a number of reasons. I feel that it can give me a better background and training than any other university, and can give me a true liberal education. Ever since I entered school, I have had the ambition to enter Princeton, and I sincerely hope I can reach my goal. Then too, I feel the environment of Princeton is second to none, and cannot but help having a good effect on me. To be a “Princeton Man” is indeed an enviable distinction. Perhaps not incidentally, Kennedy’s application essay to Harvard was nearly identical. Princeton University administrators, though, evidently didn’t harbor many hard feelings about his transfer. Reunion Hall, the site of Kennedy’s freshman residence, was demolished in 1965, but the Class of 1939 Dormitory houses a bronze plaque framed by bricks rescued from his Reunion Hall room—a poignant commemoration of his time on campus. (LEFT) President Kennedy, John F. Kennedy Jr., Mrs. Kennedy, and Caroline Kennedy with Pushinka’s puppies Blackie and White Tips, and family dogs Shannon, Clipper, Wolfie, and Charlie. Hyannis Port, Squaw Island on August 14, 1963. Photograph by Cecil Stoughton. (RIGHT) President John F. Kennedy and First Lady Jacqueline Kennedy greet guests during the Reception Honoring the Centennial of the Emancipation Proclamation in the Cross Hall, White House, Washington, D.C. on February 12, 1963. Photo By Robert Knudsen. scrapbook he compiled as a high school student; and a suitcase he used on the campaign trail in 1960. Stacey Bredhoff, the curator of the exhibition, writes that the collection “[humanizes] an elusive historical figure, while bringing his timeless message of hope to a world that still yearns to hear it.” Bredhoff contends that his leadership in the wake of WWII galvanized a fragile American public, bringing out its most dearly held commitment to public service. “He gave voice to the nation’s noblest aspirations,” she writes. It’s a sentiment echoed by Dr. Louise Mirrer, president and CEO of the New York Historical Society, which, is hosting a photo exhibit entitled “American Visionary: John F. Kennedy’s Life and Times,” running through early January 2018. “Certainly the presidency of John F. Kennedy... continues to loom large in the American consciousness,” she says. “The issues Americans confronted at the time may seem remote to us today. Still, many of the questions raised—above all, equal rights and Americans’ obligations on foreign shores—are still pondered in our time.” The “American Visionary” collection contains a wealth of photos, some well-known, others previously unpublished, spanning both the high drama of Kennedy’s public life—and through that, the questions facing the American public to which Dr. Mirrer alludes—as well as the warmth of his family life. The collection features the work of some of the greatest photojournalists of the late 1940s through the early 1960s, including photos by Ed Clark, Lisl Steiner, and Ralph Crane. For now—and rightly so—in the hearts and minds of so many Americans, Camelot lives on. day students may not sleep here, but they mix with and enjoy the community of our boarding program as if they lived here with us. Give some examples of The Hun School’s vibrant student life, including any school traditions. When students enter Hun, whether it be in sixth grade or ninth, they are assigned to a Raider House, and they remain a member of that House for life. Throughout the year, the Raider Houses compete across grade levels for points, which determine the winner of the Hun Cup. These spirited contests — athletic, artistic, and academic — allow mentoring across grade levels and have their roots in Hun School history. One of my favorite Hun moments is seeing senior House leaders hoist their sixth grade teammates in the air to celebrate a dodge ball victory. The peer leadership and character development of each student is reinforced through this important tradition. How does The Hun School prepare students for college and beyond? The Hun School is a pioneer in skills-based education. While many schools talk about the importance of this approach, very few systematically impart theses skills across grade levels and disciplines, offering students assessment of their skill development and meaningful opportunities to demonstrate mastery. By prioritizing the development of these skills over content, our graduates possess an agility that gives them an edge in college and in their careers. Hun alumni report being well prepared for college and life across traditional disciplines, but more importantly as collaborators, leaders, and innovators. What are The Hun School’s plans for the future? In a world of constant change, Hun will continue to lead the re-imagination of education for our students and the world they will help create. In recent years, we have focused much of this effort on developing student-centered classrooms, to facilitate hands-on and skills-based learning over lecture-style teaching. Moving forward, we plan to continue Dr. Hun’s philosophy of individual attention to students’ needs and give our faculty all of the tools they need to be exceptional mentors. Additionally, we will have some exciting news to share soon about a new experiential program that will allow all of our students to have real-world, inter-disciplinary experiences as part of their Hun School experience. On an administrative level, we will be working to bolster our endowment and philanthropic support, to ensure that our facilities grow to match our educational approach. As an example, this fall we are opening a newly renovated Middle School building, which boasts classrooms designed specifically to facilitate Harkness discussions and innovative learning projects. experience and receive the guidance necessary for admission to medical and law school. Why is Fairleigh Dickinson consistently rated a “Top Value” college? Fairleigh Dickinson University provides an unparalleled living and learning experience. The wide range of academic options, career-focused internships, challenging honors programs, amazing study abroad programs, winning D-I and D-III athletic programs, and a vibrant campus life make FDU an exciting, value-added institution. And, through its generous scholarship programs, FDU is an affordable option. In fact, FDU was ranked fourth in Money magazine’s “Best Colleges for Your Money” in New Jersey. FDU has also been cited for its academic quality in many other publications including “Best Universities in the North Region” (U.S. News & World Report’s Best Colleges), “A Top Regional Independent University” (College Choice), “The Best 294 Business Schools” (Princeton Review), “A Top 15 Hospitality Program” (Princeton Review Gourman Report), and “A Best Undergraduate Business Program” and “Best Undergraduate Engineering Program” (U.S. News & World Report). Give examples of ways in which FDU alumni are influencing the world. In its 75-year history, FDU has prepared more than 125,000 alumni for successful careers and for leading roles on the global stage. From broadcasting and entertainment to engineering and management, graduates have made a profound impact in a wide variety of endeavors. Just a few examples include people like Reed Brody (international human rights lawyer), Marc Chalom (creator of A&E’s Biography series), Richard Codey (former governor of New Jersey), John Legere (chief executive officer and president of T-Mobile US), Peggy Noonan (presidential speechwriter and columnist), Greg Olsen (entrepreneur, engineer, and the third private citizen to orbit the Earth on the International Space Station), and Marta Tellado (president and CEO of Consumer Reports). Describe Far Brook School’s location and campus. Nestled comfortably on nine wooded acres in Short Hills, red clapboard buildings house light-filled classrooms that open directly to the outdoors. By design, students experience the natural world in all seasons and weather. The campus lifts our spirits and inspires us even on a rainy or snowy day. The hall, gym, playing fields, playgrounds, sandbox, and courtyards provide community spaces. Our new Music and Arts Building and Kronthal Science and Environmental Center feature a greenhouse, the Fisher Woodshop, and customized learning spaces that open to the Schoolyard Wetlands Habitat. What are the bedrocks of a Far Brook School education? The 10-year journey from nursery through eighth grade is intentionally designed to empower children to be critical thinkers, problem-solvers, analytical readers, and writers with a global perspective. Our students are honored for their ideas and creativity, and given the support and freedom to take risks. In math, science, art, and woodshop, students are makers, inventors, and builders, embracing process. The progressive curriculum is interdisciplinary and infused with arts and music to encourage depth of study, understanding, and interactive classroom discussions. Every student participates in sports, drama, music, singing, and community service, experiences which help them become compassionate leaders and ethical citizens. It is our hope that we have created an inspired and unhurried atmosphere where children can grow and learn. Describe the ages and recent accomplishments of your student body. Our richly diverse student body of 230 children range from 3 and 15 years of age. The small, N-8 environment offers an extended childhood, where older students are given leadership opportunities and the gift of high expectations. They are role models for younger children. All students participate in community service. Over 60 percent of our students are eligible for the Johns Hopkins Center for Talented Youth program each year. Our graduates are well-prepared for rigorous high school settings; poised, comfortable working in collaborative environments, engaging in conversation with their peers, sharing their ideas and perspectives, and advocating for their positions. Approximately 75 percent attend independent day schools, while 25 percent choose their local public high school or boarding school. What are some of your school’s longstanding traditions? Important traditions are milestones that provide our students a sense of place and security. Each day in morning meeting, singing together feeds our souls and builds our community. We listen, become aware of our surroundings, and share experiences. During our Thanksgiving processional, a joyful celebration of the harvest in which all students sing great choral works, we collect food for those in need. In our unique graduation tradition, each student speaks about their time at Far Brook, then performs in a Shakespeare play, their gift back to the School community. How is technology used to enhance student learning? Each experience with technology should expand our students’ view of and ability to interact with the world. A variety of tools provide faculty and students the freedom to explore and take risks. We show children the powerful possibilities of technology, emphasizing the ability to create, express themselves, and effect positive change. While learning about water conservation, our second graders communicated with a school in Palestine through Level Up Village, embracing a more global perspective on how saving water impacts people around the world. Problem-based learning is enhanced in our flipped classrooms, where students learn through teacher-created online videos at home, then use their new knowledge in class to work on group projects and real-life issues. How are the arts essential to a Far Brook School education? The concept of “learning through the arts” is based on deepening the learning experience for children and increasing the flexibility and creativity of the brain. Integrating arts into daily curriculum allows children to convey what they may not yet be able to express verbally and teaches that there is more than one solution to a problem. Through the arts, children learn cultural diversity and heritage, to make qualitative judgments, to work independently as well as in a group, to notice and appreciate subtleties, to be flexible, and to celebrate the many ways the world around them is experienced and interpreted. We believe that education deeply felt and experienced is lasting and enjoyable. What are Far Brook’s plans for the future? Our new state-of-the-art science and arts buildings have enabled us to expand creative and investigative learning. To prepare students for more global futures and careers that have yet to be invented, we continue our focus on nurturing children’s natural curiosity and providing them with a foundation of critical thinking and problem-solving skills and inspiring questioning through our expanding STEAM programs. This fall, we host our second Widening the Lens conference, expanding conversations on diversity and equity within New Jersey independent schools to generate actionable ideas to make our schools and communities more inclusive spaces. appropriate “community within a community.” Many of these students become leaders in our Upper School. A number of our programs are tailored to individual learning styles and interests. We offer a Learning Skills Program for students who have languagebased learning differences, a Bridge Program for students who need some assistance with executive functioning skills, and a Math Enrichment and Support Program. We also offer over 30 Advanced Placement and Honors courses, and a rich array of courses in the arts, such as Rock Band, Master Singers, Swing Dance, and Theater. If you have an interest, we have a course! Give some examples of Solebury’s multi-disciplinary approach to education. In 11th grade, Solebury’s best students have the opportunity to take American Studies — affectionately termed “Amstud.” A combination of AP U.S. History and Honors English, this course is co-taught by members of the English and history departments. In their sophomore year, students may elect an honors-level ethics course, taught by three different instructors over the course of the trimester — each bringing their unique perspective. 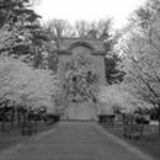 Weaving together English, history, film, and theater, Solebury offers classes in film analysis and script writing/ directing, taught by professionals with long careers in the industry. Annually Solebury School sponsors STEM Week, weaving together various threads of science and math, as well as offering an Arts Festival—a weeklong celebration of all the arts. What are Solebury’s plans for the future? Last year, the board of trustees adopted an ambitious strategic plan that will chart the path of Solebury School for the next 20 to 30 years. Planned enrollment growth, primarily in the boarding population, will have a ripple effect for both staffing and facilities over the coming decades. Our strong academic program continues to grow as we continue to enrich the curriculum — Robotics, Coding, Film Analysis, Engineering I and II, Architecture, and Teach2Serve (a social entrepreneurship course focused on social change), and on and on. Our plans are ambitious and our vision clear: to preserve the core qualities and characteristics that make us Solebury School, while continuing to offer a cutting-edge academic experience in the nurturing environment that distinguishes Solebury School. photographs courtesy ofthe peddie school. the opportunity to pursue their passion in a particular field of study through the Signature Experience at Peddie. In their junior and senior years, students are able to opt into this specialized, self-designed program under the guidance of a faculty advisor. Students of this program can elect to dive deep into research science, the arts, Asian studies, creative writing, languages, or robotics. For those students who wish to pursue intensive study in another discipline, the Summer Signature program allows them to design their own course in virtually any field. Signature experiences rival college-level curriculums, and many alums reference their signature experience as making a profound impact on their academic and professional career beyond Peddie. “This community of people united by excitement, curiosity, and character is inviting rather than intimidating,” continued Quinn. “The school’s location, history of diversity and inclusion, broad and challenging curriculum, active student life, and democratic informality mean that Peddie appeals to those who seek an aristocracy of achievement, rather than one of entitlement.” Peddie School enrolls about 530 young men and women in grades 9 through 12, including postgraduate students. The student body is 63 percent boarding and 37 percent day, and represents 25 states along with 38 foreign countries. The average class size is just 12, with a 6:1 student-faculty ratio. All students must participate in theater, be on an interscholastic team, or be in one of the elective physical education classes after school. Peddie School graduates earn admission to some of the most selective colleges in the U.S. and abroad. GO GO FAR FAR PREPARING PREPARING YOUNG YOUNG MINDS TO MINDS CHANGE TO CHANGE THE WORLD. THE WORLD. With an open, accepting environment and a curriculum designed to challenge and inspire, Solebur y is filled with electives and AP and Honors courses. Just be yourself and dive deeply into what you love. Our classes are small. Your aspirations should have no limits. Solebury is what school should be. A coeducational college preparatory boarding and day school. Day: grades seven through twelve. Boarding: grades nine through twelve. LIFELONG IMPACT The adolescent brain is not fully developed, so injuries that go untreated can have a lifelong impact. In addition, assumptions about the sports that cause such injuries are not complete. It isn’t always football and rugby that put athletes at risk. Two of the more serious head injuries Dr. Matarese treated occurred in a young golfer whose skull was cracked by a golf ball and a tennis player who fell on the court. A deeply compassionate neurologist who also serves as an advisor for the Brian Injury Alliance of New Jersey, Dr. Matarese acknowledges the benefits of sports. He spells them out without hesitation. But if we are going to push our competitors, he says, then parents, coaches, teachers, and athletes themselves must be vigilant on behalf of young people who are putting their health on the line. In most cases, a concussion is a temporary, recoverable neurological deficit. But when it goes untreated and the brain is exposed to a second injury, Second-Impact Syndrome can cause permanent impairment, or worse. Another young woman, a junior in high school, came to Dr. Matarese’s practice after she had received a full scholarship to Harvard University. But during a softball tournament, she was struck in the head with a ball. The young woman did not mention the injury. Three days later, she was struck in the head again. The back-to-back blows caused such neurological damage that the young woman barely finished high school and needed enrollment in a special program to complete a community college education. THE HUN SCHOOL OF PRINCETON is a joyful, striving community of learners and teachers who want to experience something profound every day: that sweet spot between challenging academics that push our brains and the personal endeavors that soar our hearts. This is what we call “a balanced equation”—a thoughtful way of teaching that brings out the best in our students and best prepares them for life. The Knox School is an independent college preparatory school located on a beautiful waterfront campus on the North Shore of Long Island. Our mission is to foster academic, intellectual, and character development within a liberal arts program infused with artistic and athletic pursuits. Photographs courtesy of Princeton Universityâ&#x20AC;&#x2122;s Lewis Center for the Arts Photo by Bentley Drezner. A Place to Create and Collaborate Staging one of her dances for the Lyon Opera Ballet in France a few decades ago, choreographer Susan Marshall was thrilled to find herself in a newly remodeled, state-of-the-art theater with spacious rehearsal studios and plenty of room to test out her ideas. It was like a dream come true, “a sort of fantasy that was actually happening,” Marshall recalls. Photographs courtesy of Princeton University Aerial taken as construction neared completion by Aerial Photos of NJ, courtesy of Princeton University Office of Design and Construction. Exterior photograph of the complex by Christopher Lillja, courtesy of Princeton University Office of Design and Construction. Into The Woods, photo by Larry Levanti. To celebrate its opening after four years of construction and a decade of planning, Princeton University’s Lewis Center for the Arts is hosting a three-day party that is open to the public and mostly free. From October 5-8, from one end of the campus to the other, the University will offer dance, music, concerts, plays, readings, art shows, multi-discplinary presentations, community workshops, and site-speciﬁc events. It opens with the biennial Princeton Poetry Festival, which will showcase poets from Canada, China, Cuba, Iceland, Macedonia, Northern Ireland, the Netherlands, Serbia, the U.K, and U.S. in a series of readings and panel discussions organized by Pulitzer Prize-winning poet and Princeton faculty member Paul Muldoon. The Poetry Festival continues on October 6. The following day, a specially commissioned “electronic fanfare” will have original music on specially made instruments performed by the Princeton Laptop Orchestra, Tilt Brass, and Sō Percussion, combined with kinetic lighting, bodies in space, wave robotics, and rigging. The idea is to interact with the new architecture. The event will be repeated throughout the Festival. Additional events throughout the weekend include a new adaptation of Euripides’ The Bacchae, an evening-length work by choreographers Anne Teresa De Keersmaeker and Salva Sanchis set to music by John Coltrane, an opera for electric guitar called Orpheus Unsung, and a series of “performance walks” by Aaron Landsman and Alison Isenberg titled “Walking Histories: Race and Protest at Princeton and in Trenton.” There is much more, including a carillon concert, a jazz jam session open to members of the community, sing-alongs with the Princeton University Orchestra and Glee Club for musicians of all ages conducted by Michael Pratt, and other theater, music, dance, and visual art events. For a full schedule, visit lcaopening.princeton.edu. Dance photo by Bentley Drezner. Rhyme and Rhythm, Words and Wonder: Princeton’s Poet Laureate Tracy K. Smith by Stuart Mitchner Princeton’s new poet laureate, Tracy K. Smith. Princeton University, Ofﬁce of Communications, photography by Denise Applewhite. POETRY IN PRINCETON The Princeton poetry connection dates back to Philip Freneau (Class of 1771) and 1943-44 Poet Laureate Allen Tate, ﬁrst head of the Creative Writing Program now headed by Poet Laureate Smith. Another Princeton Poet Laureate is twotime Pulitzer Prize-winner W.S. Merwin, who decided to be “a poet and nothing but a poet” when studying at Princeton under John Berryman and Creative Writing Program founder R.P. Blackmur. Princeton and poetry will be in the spotlight again in October as poets from there and around the world arrive for the biannual Princeton Poetry Festival, one of the events featured in a multi-day Festival of the Arts to celebrate the opening of the new Lewis Center of the Arts complex. URBAN AGENDA PHOTO CONTEST URBAN AGENDA MAGAZINE’S “SUMMER MOMENTS” PHOTO CONTEST WINNER Congratulations to our photo contest winner, Richard Sherman. Sherman is a full-time professional photographer who creates peaceful and tranquil environments through extraordinary nature images, primarily for the healthcare and hospitality markets. As a formal Navy ofﬁcer, Sherman is proud to operate as a certiﬁed Veteran Owned Small Business (VOSB). Sherman has always loved water and boats, and ia drawn to the calm beauty of classic sailboats, swaying docks, and protected harbors. Sherman loves to shoot in Maine, where the cozy harbors are bordered by quaint villages, where the light is warm and the fog is dense, and where there is always a friendly lobsterman, visitor, or local stopping by to say hello. RichardShermanPhotography.com To all who submitted photos, thank you for sharing your summer memories and supporting Urban Agenda Magazine. Check our website www. urbanagendamagazine.com for details on our next photo contest! Richard Sherman, Whisper. A sailboat moored on a foggy August day in Maine. Discount is not valid on prior purchases, Travel Programs, or Teen Academy classes. Offers cannot be combined. SEPTEMBER 7-10 St. Demetrios 40th Annual Greek Festival 721 Rahway Avenue, Union; Thursday 6-11PM, Friday 5-12PM, Saturday Noon-Midnight, Sunday Noon-8PM www.stdemetriosunion.org Be Greek for a weekend! Enjoy authentic Greek food prepared on premises including souvlaki, gyro, and pastries. Also beer, wine, and ouzo. Live music, DJ entertainment, folk dancing, vendors, rides and games, and free parking. SEPTEMBER 10 Chatham Fine Arts & Crafts Festival 30 Fairmount Avenue, Chatham; 10AM-5PM Now in its ﬁfth year, this festival features more than 125 ﬁne artisans from the tri-state area and beyond selling their creations, artist demonstrations, a free jazz concert, specialty foods, gourmet food vendors, and a hands-on craft area for children. SEPTEMBER 16 All About Downtown Street Fair Newark Avenue between Grove and Coles Streets, Jersey City; Noon-8PM www.jcdowntown.org This festival features more than 100 vendors selling all sorts of products ranging from handmade jewelry to one-of-a-kind artwork, crafts, top food trucks from the tri-state area, and lots of fun for the family. Live entertainment and music. SEPTEMBER 16-17 Bergen Street Fest Teaneck National Guard Armory, 1799 Teaneck Road, Teaneck; 11AM-11PM www.bergenstreetfest.com A two-day festival featuring gourmet food selections provided by food trucks; children’s activities including bouncy houses, face painting and more; live entertainment including cover bands and a local artist showcase; and arts and crafts vendors. September 16-17 Fine Art and Crafts Show Anderson Park, 274 Bellevue Avenue, Upper Montclair; 10am-5pm www.rosesquared.com This show has been selected as one of Sunshine Artists’ Magazine’s top 200 shows in the country. With about 150 exhibitors, you can watch demonstrations, meet talented artists and learn what inspires them, sample specialty food treats, enjoy a variety of ethnic foods, and much more. October 1 Caldwell Street Fair Bloomfield Avenue, Caldwell; Noon-5pm www.caldwellstreetfair.com Sponsored by the Rotary/Kiwanis and located in a six-block area on Bloomfield Avenue in the center of town, this festival features great rides, a beer garden, live band, entertainment, arts and crafts, and ethnic and regional food. September 16 - November 5 Great Pumpkin Festival Heaven Hill Farm, 451 Route 94, Vernon www.heavenhillfarm.com One of the largest fall festivals in Northern New Jersey. Admission includes more than 30 activities including an old-fashioned hayride, corn maze, farm animals, farm market, and wine tastings. Wednesday, Thursday and Friday, Noon-5pm; Saturday and Sundays and Columbus Day, 10am – 6pm. October 7 Bottle Hill Day Downtown Madison; 10am-5pm www.rosenet.org This festival in downtown Madison spans nearly eight blocks and features street vendors, merchant sidewalk sales, live entertainment on four stages, a beer garden, car show, amusement areas, craftspeople, and food establishments. September 23 Franklin Day Festival Colonial Park, 156 Metters Road, Franklin Township; Noon-5pm www.franklintwpnj.org This family-friendly festival features live music, artists and craftspeople, dance performances, food trucks, children’s activities, a classic car show, art walk, putting green, and more. September 23 Leonia Oktoberfest American Legion Hall, 399 Broad Avenue, Leonia; 2-9pm www.leoniaoktoberfest.com The 18th annual Oktoberfest sponsored by the Rotary Club of The Palisades to support the Weekend Snack Pack Program at local schools. This is a family-friendly event with food and drink, kids activities, music, and German competitions. October 13-14 Morristown Festival of Books Several historic venues, Morristown www.morristownbooks.org The Morristown Festival of Books brings together acclaimed authors with readers and book lovers. Authors will speak and answer questions for one hour at one of several Morristown locations. Book sales and signings, following author presentations, will occur at a tent on the grounds of the historic Vail Mansion. October 14 34th Annual Harvest Celebration Downtown Chester www.ilovechester.com This festival in in historic downtown Chester features apple press and woodcarving demonstrations, Chester food fest, antique cars, pumpkin painting, Colonial musketeers, and lots more. image courtesy of Asbury Park Distilling Co.
ew Jersey has a long history of distilling going back to Colonial times, but strict alcoholic beverage control laws in place during and after Prohibition prevented the industry from growing. It wasn’t until 2013 that the New Jersey Division of Alcoholic Beverage Control instituted its first distillery license since Prohibition—to Jersey Artisan Distilling in Fairfield. This was due to the efforts of its owner and distiller Brant Braue. Braue, an electrical engineer, wanted to follow his dream of making spirits in the classic style. “Nobody wanted to change the law until it applied to them,” he said. New Jersey craft distilleries can now produce 20,000 gallons a year, which translates to about 100,000 bottles. A Great Change Jersey Artisan Distilling, which opened in November of 2013, specializes in rums, including its Busted Barrel Silver and Busted Barrel Dark 80 proof rums, which have already won silver medals at the New York Wine and Spirits Competition. They also produce Morena Rum and 86 proof James F.C. Hyde Sorgho Whiskey, which has been on the market for just a year. They also make Hard Ice alcoholinfused sorbet, made with small batch rum and real fruit puree. “This has been a great change for me,” said Braue. “You have to have passion and love for what you do every day.” Braue said he puts in very long hours perfecting his spirits, but it’s worth it. “If I don’t like it, I won’t sell it,” he said. Braue sells his spirits on site and throughout the state, and is working with distributors to sell in other states as well. He said that rum can be un-aged, but the barrel-aged minimum is two years. Some go to five years. What he is selling now was over two years in the barrel. He offers tastings and tours on Saturdays and Sundays, along with movie nights on Thursdays where they serve treats like kettle corn made with whiskey. feature labels by New Jersey artist Brett Strothers. “We have a craft distilling license, and aren’t afraid to use it,” joked Granata about their varied offerings. Jersey Spirits uses natural products, like real fruit, instead of chemical flavorings. Granata is excited about five different single-malt whiskeys that will be released soon, including Cherry Wood Smoked, Apple Smoked, Chocolate, Caramel, and a Straight Up Barley Malt. Both Granata and Lord agree that it is a good thing to have three distilleries all in one area. “Everyone has a different dynamic,” said Lord. “We encourage our customers to check everyone out. We all do our own thing with our own recipes. It’s all good and builds the business for everyone.” Jersey Spirits offers a special barrel share program where participants can come to the facility on the day that a new spirit is being distilled, and then come back for tastes as it is aging to see how it evolves over time. “They get a lot out of it,” said Granata. “They can appreciate it at a different level, and see it nurtured along the way. It gets people in touch with all aspects of the process, to be able to understand what is happening and when it is happening.” Granata added that the participants also have a say in when they think it is has come of age, and can take some home when it’s ready. Jersey Spirits also offers tours, tastings, craft cocktails, and bottle sales in its tasting room. There are also lots of classes, including an apprentice distiller workshop that gives participants a comprehensive experience of what it takes to make a spirit. images courtesy of Jersey Spirits Distilling Co.
Jersey Spirits Distilling Co. Disch said that Sourland Mountain Spirits are now available in 75 stores and restaurants across the state, from Morristown to Atlantic City. Tours are offered on Saturdays and Sundays, and Disch looks forward to participating in this fall’s Central Jersey Beer Fest in Mercer County Park. images courtesy of Asbury Park Distilling Co.
ince the founding of the American colonies, Chatham and Madison have been key historic locations from the Revolutionary War. Chatham was even named after a member of British Parliament who advocated for colonist rights, while the later-formed Madison was named after founding father, Constitution writer, and fourth president James Madison. Since then, Madison and Chatham have stayed connected to their roots both in the arts and soul. HISTORIC ARTS AND CRAFTS Madison’s historic spirit shines in places like the Redtail Gallery, which features traditional, handmade Native American art from an array of tribes. Display cabinets are ﬁlled with Navajo turquoise jewelry, Hopi katsina dolls, and all manner of traditional masks and ﬁgurines. Each item is handpicked and carries a wealth of symbolism. For a look into Colonial America, Madison’s Museum of Early Trades & Crafts holds several sets of tools from the 1800s. Permanent exhibits display the tools of trades like distillers and coopers, while past exhibits delve into trades like burial, terra cotta industries, and the tools of the Lenni Lenape, the Native American tribe who inhabited Chatham and Madison for thousands of years. Even the building itself is worth seeing, built in 1899 to house the Madison Public Library. With a focus on fresh food and a friendly atmosphere, Charley’s Aunt bar and grill captures the down-to-earth honesty of Chatham. Quaint and cozy, the doors open right before noon and close well after midnight, giving visitors plenty of time to enjoy a night out on the town before settling in. Charley’s Aunt has been around for decades, and they’ll likely be just as ready to serve a beer and a burger in decades to come. For a hearty assortment of Chatham-born drinks, the Twin Elephant Brewing Company is unparalleled. Handcrafted ales and lagers with names like Derby and the Moustache, Fuzzy Duckling, and Chuck’s Garage hint at the relaxed, homey atmosphere inside. Tours are free, counters are hardwood, and the beers are fresh. As evening rolls into in Madison and the streetlamps ﬂicker to life, crowds funnel into The Shakespeare Theatre of New Jersey to see the latest performance of The Merchant of Venice or Molière’s The Bungler. If the air is warm, the cheers and cries from A Midsummer Night’s Dream might echo from their grass-and-stone amphitheater. Modeled after the Theatre of Dionysus in Athens, it is one of the only stages of its kind hosting a professional theatre company. On a good night, lowbacked beach chairs and picnickers circle the stage as lovers and fairies begin their performance. For anyone in Chatham looking to ﬂex their muscles even after sundown, the Gravity Vault’s rock climbing center opens at noon and stays open well into the night at 10PM on weekdays. Housing over 13,500 square feet of climbable surface and a variety of wall types and difﬁculties, it can provide an interesting challenge to heat up a cool evening. Anyone in Madison looking to test their wits should investigate the two local escape rooms from Escape Room NJ—The Lost Cabin: Books of Souls, and King Arthur’s Castle: The Holy Grail. Players have an hour to work together, think creatively, and solve the slew of puzzles to make their way out before the timer runs out. Chatham and Madison aren’t the bubbling, high-trafﬁc tourist traps some may ﬁnd in other places. They’re handmade and thoughtful, where others are mass produced and breakneck. They’re honest, hearty boroughs, in touch with their history and a home for anyone. IMAGE COURTESY OF MUSEUM OF EARLY TRADES & CRAFTS, WIKIMEDIA COMMONS. Create Yourself More than 140 courses and 65 workshops! Elements Trufï¬&#x201A;es was born out of the idea that food can heal. infusion; rose bars and truffles with cardamom infusion; and a sea salt bar with turmeric infusion. Vasa is currently at work on a white chocolate line of bars. She also likes to create special flavors to correspond to certain holidays, such as her lemon coriander bar for Mother’s Day and a dark chocolate bar with cacao nibs and turmeric for Father’s Day. Although the company is still very young, it’s clear that this is a passion project for Vasa. Her products are currently sold on Amazon, her website at www.elementstruffles.com, and in over 100 stores nationwide, including many locations throughout New Jersey and New York City. The bars are the perfect addition to any back-to-school lunchbox since they are made, according to Vasa, with “ingredients your Grandma would recognize.” Also, 25 percent of all profits are donated to CareforChildren.org, which provides funds and services for children living in rural areas. In the near-term, Vasa hopes to add a line of hot chocolate powders and turmeric oils to Elements Truffles’ offerings. Whatever she chooses to work on in her kitchen, she promises to “stick to the flavor profiles inspired by my memories of growing up.” It is this approach to mindfulness and the creation of desserts that sets Elements Truffles apart. Each 419-foot main span tower is connected to 24 stay cables. IMAGEs COURTESY OF THE NEW YORK STATE THRUWAY AUTHORITY. The eastbound main span will soon connect to the Westchester approach. A mobile batch plant provides concrete directly on the main span. The project team unites to kick off Safety Week on May 1, 2017. Work continues on the eastbound main span. The project team tests the westbound bridge's aesthetic lighting system. "Painters Point" - The third of six belvederes, across the pedestrian and bike path. Its design accentuates arts and culture in the Hudson Valley. “River Crossing” - The fourth of six belvederes, across the pedestrian and bike path. Its design highlights transportation and communication. to raise their young before migrating south in the fall. A webcam allows viewers to observe the migratory falcons incubating eggs, feeding their young, and defending their nest (NewNYBridge.com/falcon-camera). Although a single bridge, there are two parallel crossings, taking vehicles in each direction between Westchester and Rockland counties. With one span now operational, another crossing 87 feet wide will open next year, with four lanes in each direction as well as a separate bicycle and pedestrian path. There will be transparent noise panels at either end of the path. The cable-stayed bridge will ultimately offer eight 12-foot vehicular lanes and have six belvederes for pedestrians and cyclists, each with specially-designed seating, shade structures, and interpretive panels on Hudson River history. A cable-stayed bridge is one in which the cables “stay” the bridge in place, by connecting from the edge of the deck to the angled towers to better distribute the structural load. The Gov. Mario M. Cuomo Bridge is the widest cable-stayed structure of its kind in the world, and will include state-of-the-art traffic monitoring systems as well as enhanced express bus service. Mass-transit ready, the new crossing will be able to accommodate bus rapid transit, light rail, or commuter rail. Building such an enormous structure would not be possible without the I Lift NY crane. The floating crane has a lifting arm that is taller than a 30-story building and is capable of lifting the equivalent of 12 Statues of Liberty at once. It enables pre-fabrication of huge sections of the bridge off site, saving both time and money as well as enhancing project safety and quality. The super crane previously worked on the San FranciscoOakland Bay Bridge project. What will become of the old Tappan Zee? It will not transform into another elevated park, like the High Line or the Walkway Over the Hudson, further up, converted from an old railroad bridge, but will be carefully dismantled using the I Lift NY super crane. It is in the way of the second span, and once traffic has shifted to the first of the twin spans, the Tappan Zee will come down. But the structure’s elements will live on, according to Saeed. The steel and concrete deck panels will be repurposed or recycled. Its 133 deck panel units and moveable barriers will be transferred to state and local municipalities. “The transfer of these materials will save local municipalities millions of dollars which will help important infrastructure projects move forward with a much lower cost to local counties and towns,” says NYSTA Acting Executive Director Bill Finch. Eight municipalities and the New York State Department of Transportation have requested the transfer of deck panels, which can facilitate future infrastructure projects. Including removal and delivery, the deck panel units have an estimated value of almost $3 million. The toll for the Gov. Mario M. Cuomo Bridge will remain at $5 cash, or $4.75 E-ZPass through 2020, according to Saeed. After a season that was termed “Summer of Hell” because of stalled infrastructure improvements at Penn Station, the Gov. Mario M. Cuomo Bridge is a bright spot. THE FUTURE LOOKS A LOT LIKE US. OPEN HOUSES Oct. 8 & 29 at 1 p.m.